I just stayed home on a snow day, and I don’t know how I did it. Moreover, I don’t know how stay-at-home parents do it. Keeping up with a 3-year-old is exhausting. A trial of patience where you know you’re going to lose. And yet it is magical. 1 – Make an assessment of life’s priorities. God and other educator-readers know that I (and we) are busier now more than ever. We seek to make the best impact we can and, it takes a LOT of time to plan, implement, and refine great lessons. On top of that, we are often involved in so many other things: church, sports and fitness, improving our own mental acuity, watching our favorite shows, trying to produce another episode of The Post-Class Podcast, and so on. But at the top is taking care of the little tikes who rely on you. Who needs you to scoop the bowl of cereal and change the overnight diaper, read the book and give the 3rd glass of water before bed, and EVERYTHING in between. 2 – Sacrifice for them. That list above really gets winnowed down quickly. 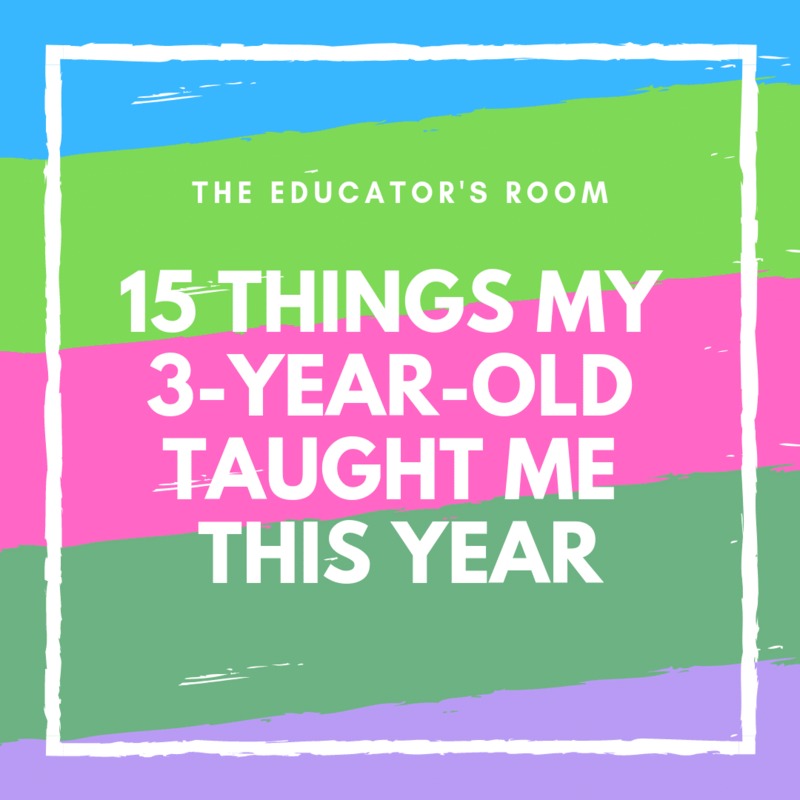 There are so many things on the to-do list both at home and at school that just have to take a back seat to the demands of my own personal classroom. 3 – It’s a shame teachers – and people for that matter – don’t get more paid maternity and paternity time. Three years now, and this comment still stays on the list. We had family friends visit from Slovakia, and they shared how family-friendly their child-raising system is (3 years for the mom, something like 6 months for the dad). In the formative years of a kid’s life, I couldn’t imagine how profound an impact my wife could’ve had with our oldest as she just NOW returned to work. 4 – Learn to laugh at the mistakes and become the master of redirection your own frustrations. In the beginning, the struggle is a physical one: crying babies and needs are draining on parents’ bodies. But as the kids age, the “combat” is much more mental. Sometimes you just can’t win, and sometimes you just don’t need to win. Parents need to move on. 5 – Worst experiences are subjective learning experiences. Each and every fall, whether literal or figurative, is something that your child needs to pick themselves up from. Be there to help them with that, but don’t do it for them. Let them struggle a bit, and watch their tenacity grow. 6 – If you really want to make an impact, you need to be the best team. That’s not just mom and dad anymore. That’s grandparents learning your parenting culture. That’s teachers working to make kids better. That’s a special day with aunt and uncle, or bonding with and loving younger brother or sister. 7 – Sometimes you know what’s best. I fought with my son for 3 hours over his need for a nap today. He was exhausted. I could tell. He couldn’t. 8 – Sometimes your child knows what’s best. After a week of conferences, meetings, online trainings, leadership roles, phone calls and chats with my colleagues, rescheduling a field trip because of the snow, and more, he just wanted to play Legos. With me. And I had to accept that was more important than a nap. 9 – Know how to play all roles and wear share all hats. My wife and I had been specializing in areas of what to do: who does the cooking, readying the kids, and bath, clean up, and so on. But we’re both much happier when we vary the roles. The same can be said about the classroom. Don’t keep things the same every day for the kids. Shake it up! 10 – Don’t lose sight of those you love. I got in a car accident 2 weeks ago with my 3-year-old. Though we had very little trauma, it certainly made me think about plenty. Combined with the fact that we just lost our state teacher union leader to sudden cancer, I’m reminded the life we lead can be washed away in a moment. Don’t live with regrets that you didn’t spend enough time with those who mean the most to you. 11 – It’s amazing how many people are there to pitch in. Thank God for grandparents, aunts, uncles, neighbors, and friends who care about you and your family. And thank God for those at school who are a family to teachers in themselves. 12 – And how many just want to see baby videos good news in their lives. Our world is becoming exhausting with the constant combat. Sometimes we just need to stop and see a video from years ago where your kid learns his first consonant. Or just giggles endlessly. There’s no joy like listening to a little kid laugh. 13 – Everybody deserves a loving home. Our school recently welcomed our first migrant. He doesn’t speak English, but a standout kid of ours who speaks Spanish with him learned his story and came to me to cry. It’s amazing how fortunate we are, and we need to pay that forward by being good stewards not just of our kids, but of the world. 15 – Everybody has advice, but the best I’ve heard is do what you feel is right. And right now I’m glad to have the time to write this well-overdue article. At least until next year when the lessons will refresh me again.